We will work collaboratively to create a work of art that communicates ideas about consumption and waste. In working on this we will be having a few field trips. This will be an entire semester long project. 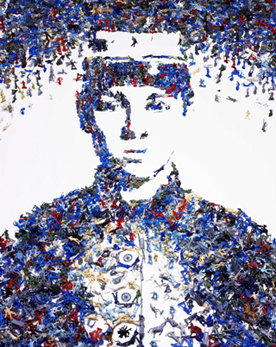 To get us started, we will be watching the documentary "Waste Land" featuring the work of Brazilian artist Vik Muniz. A drawing loosley inspired by Wayne Thiebaud and fellow Pop Artists take on consumption. Bring in your lunch, compose a good shot. Use that as an inspiration for you drawing. But before you begin, what are you saying with your choices? Why did you choose to frame/compose your shot the way you did? What are you hoping to communicate with you audience?